Thirteen-year-old Jonah has always known that he was adopted, and he’s never thought it was a big deal. Then he and a neighbor, Chip, who finds out he’s also adopted, begin receiving mysterious letters. Jonah, Chip, and Jonah’s little sister Katherine are plunged into a mystery that involves the FBI, a vast smuggling operation, an airplane that appeared out of nowhere—and people who seem to disappear and reappear at will...until they make a staggering discovery: Jonah and Chip, and other kids are actually missing children from throughout history, stolen for profit by time travelers. Now, they are caught in a battle between two opposing forces that want very different things for them—and their choices will determine the course of their own lives, and the lives of their friends. 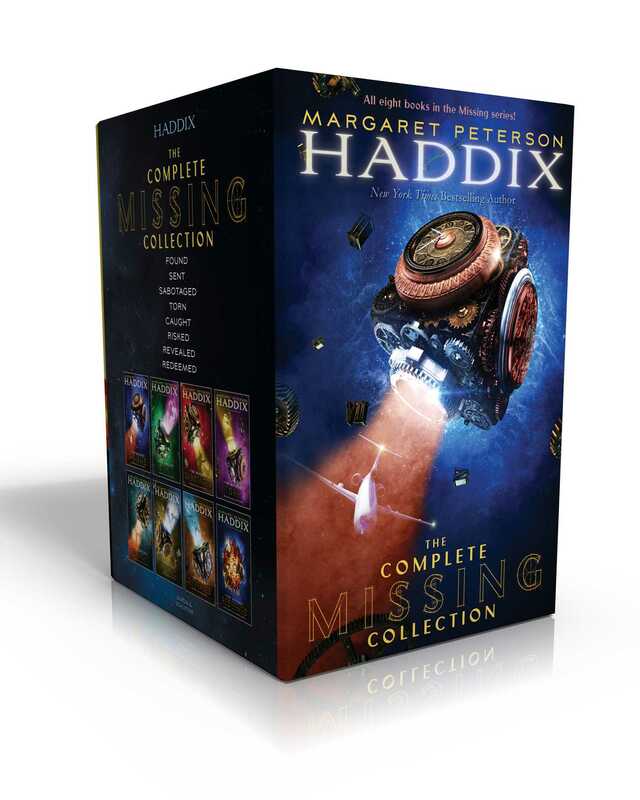 Ideal for newcomers to the series and loyal fans alike, this collection includes Found, Sent, Sabotaged, Torn, Caught, Risked, Revealed, and Redeemed.